I recently met a close friend of mine, who just had her 1-Kanal house constructed with the interior exterior designing in one of the developed housing societies in Lahore and was looking for getting it furnished now.. Like many other concerned homeowners, she was also confused about choosing between a sectional and a sofa for her living room. So, I suggested her to get an expert advice. If you are also one of such confused home owners, here are some expert suggestions by the Pakistani interior designer of Amer Adnan Associates, which can help you reaching up to a final decision and utilizing the space to its best. 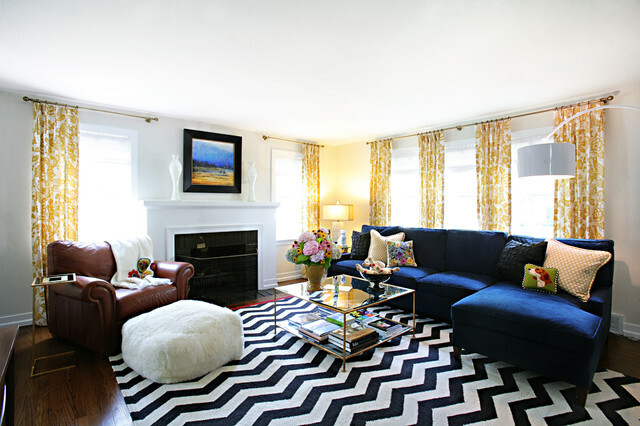 Almost every one of us wants our newly constructed house look trendier as well as functional. Therefore, whatever we purchase or design inside, the first thing which is given top priority is its compatibility with the latest trends. In the similar way, when it comes to choosing furniture, homeowners get confused between choosing a sofa and sectionals. Although, sofas are still the vogue but sectionals are in trend and everyone wants to have the latest and stylish furniture in home. In the wake of continuous advancements in the interior deigning industry, professionals now have come up with the smarter ideas and options which keep up a balance between design and functionality to create a perfect ambience. Therefore, they prefer furnishing in a more practical way. Suppose if you have a larger house and want to pick a furniture for your living room, the interior decoration professionals will give you the best advice according to your interior, the number of family members and obviously the trend. Sectionals are considered more functional in this regard as these are good for big families and for spacious living room. Not only these can save space but also help you design a more functional seating arrangement. Moreover, sectionals are good to promote a minimalistic theme inside your house. Another additional advantage which sectionals provide you is their variety of shapes – you can either choose a U-shaped sectional or an L-shaped a stationary or fixed, a modular or reclining depending upon the dimensions of the area where they are being used. The U-shaped and L-shaped sectionals are good for joint families because along with providing more seating space these allow you to enjoy a good communication while directly facing each other. Other than living room, you can also use sectionals in media rooms. Sofas are not out of fashion but their usage has been limited to only smaller areas only because these cover less space as compared to sectionals. Moreover, these are comparatively easily to move around; therefore whenever you plan to change the sitting arrangement, simply drag and place them in a new layout. Moreover, sofas are not as expensive as the sectionals are. For your TV lounges, you can choose sofas; however, if the area is bigger and you have lot of people in your family then sectionals must be the first choice. Bigger family, Bigger Choice! As compared to sectionals, sofas provide more options for arrangement. It all depends upon the availability and dimensions of an area. It is all your choice whether you want to place them in a linear order against a wall or in a U-shape or L-shape arrangement. If seating space is a concern than you can use a bigger sofa such as a 5-seater or a 3-seater or so on. Although, despite looking at the pros and cons of sofas and sectionals it is your choice to choose between the both but still taking help from professional furnishers like Amer Andan is the best you can do to make a perfect selection.